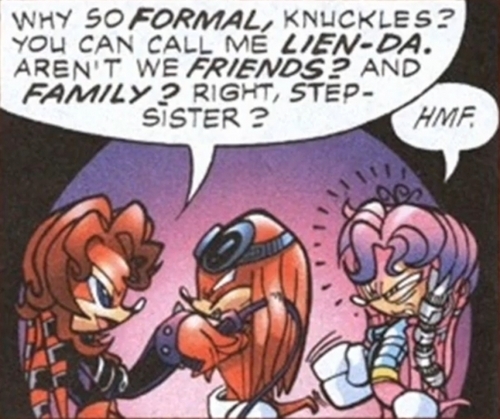 Julie-Su gets mad @ Lien-Da for flirting with Knuckles. btw they may call each other step-sisters because they don't like each othe rbut the real truth is Luger is Lien-da and Julie-Su's dad but they have different mom's. Wallpaper and background images in the Julie-Su the Echidna club tagged: julie-su knuckles lien-da.